Nowadays fashion is more than just an essential wear; it is a form of individual self-expression. Luen Thai Holdings Limited, a multi-billion dollar global leader in consumer goods with retail as one of the group’s fastest growing ventures, extends its reach with CHAPS, a brand created by fashion icon Ralph Lauren. CHAPS is now available in Malaysia at Pavilion Elite and 1Utama Shopping Centre. CHAPS represents fashion that is confident, spirited and fresh. With its authentic inspirations from nautical to Americana, CHAPS fits the young and trendy. For Ralph Lauren so loved his country, CHAPS collections are inspired by the cities in USA. In November 2016, the company established Luen Thai Retail Malaysia to initiate the retail business operation in Southeast Asia. 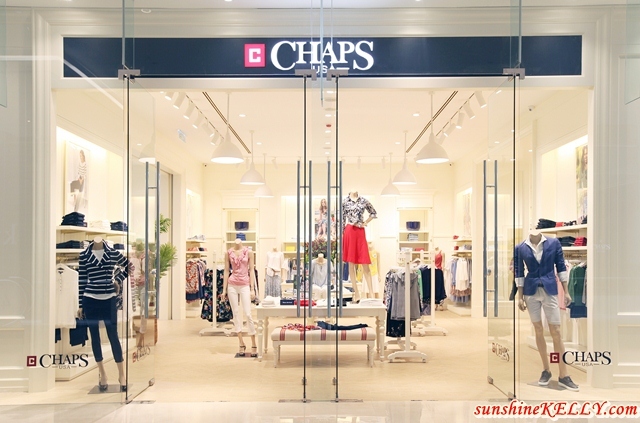 The third CHAPS store in Malaysia will be opened in MyTown Shopping Centre. The company targets to open another 4 stores within the year. Launched in 1978, CHAPS is a brand that offers classic all-American styles that is synonymous with carefree, timeless design and impeccable quality. CHAPS offers a complete comfortable yet stylish lifestyle collection for women and men ranging from casual sportswear with a feel of simplicity yet giving attention to detail, to signature pieces with a trendy fashion twist, to effortlessly elegant dresses and men’s polished tailored clothing. For women, CHAPS offers blouses, dresses, skirts and pants that are sophisticated and ready for wear, perfect for work and can easily transition from desk to dinner. Throughout the range, details like subtle embroideries, petite lace eyelets and crochet trims offer a feminine appeal. These all occasion wardrobe essentials combine seamlessly to yield a collection that’s perfect for today’s women, who lives her life on the go. For men, CHAPS offers stylish looks that effortlessly transition from the office to cocktail hour with a wide selection of dapper outfits from its iconic look and remarkably breathable Polos to rugged plaid Oxford Shirts, Flat-Front Shorts and Classic Pants in hue of colors to choose from. With CHAPS, men get comfortably fit with all the signature details one would expect from the brand’s classic models.